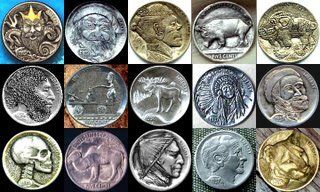 And all this time I thought that “hobo nickels” – nickels carved with different faces and animals and scenes by folk artists – were a joke of John Hodgman‘s. But no! They’re real. There’s even a Hobo Nickel Society. 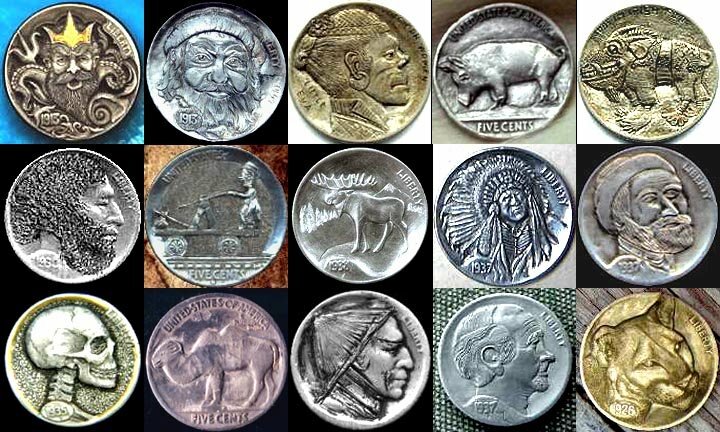 Notice how it identifies itself as the ORIGINAL Hobo Nickel Society, revealing an urgent need to distinguish itself from other, perhaps competing, hobo nickel societies. Clearly there’s a whole mysterious underculture out there that revolves around hobo nickels. Rivalries. Betrayals. Denunciations. The mind reels.